Two buses took the jes crews to Carrick-on-Shannon, departing from the club at 6am on Saturday morning, and arriving in plenty of time to rig all the boats in time for the first race. The shannon head is unusual in that there are 2 scheduled races (at 11am and 2pm), so every crew launches at the same time, in a surprisingly short but chaotic time, and rows up to the beginning of the course. The event takes place in the middle of Carrick-on-Shannon, making it a superb location for spectators, who can walk, from the Shannon Boat Club's clubhouse, along the riverbank to watch the crews cross the finish line - never more than 5 minutes away from the many hotels, pubs, coffee shops, and bakeries offering welcome hot meals and drinks. It's not just the spectators who are happy about this event's centre-of-town location; the subway, around the corner from the event, did a roaring trade from the ever-hungry rowers, after the second race. It was a cold day but mostly dry with very little wind, making for excellent rowing conditions. CIRC had a number of entries in both races and, with 7 wins and lots of close 2nd's, we have every right to be proud of our crews' perfomances that day. Race 1 (at 11am) saw the Jes MJ16 8+ crew the fastest in their age group. Their impressive time placed them third overall (beaten only by a MJ18 Quad and a MJ18 8+). 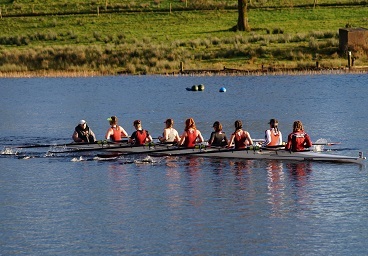 The womens' J18 8+, and womens' J14 double were also fastest in their categories. Sarah Trench also came home first in her WJ15 single scull. The only other Jes crews to race that morning were the MJ18 quad and MJ18 coxless pair, which both came second in their respective categories. Race 2 began at 2pm. 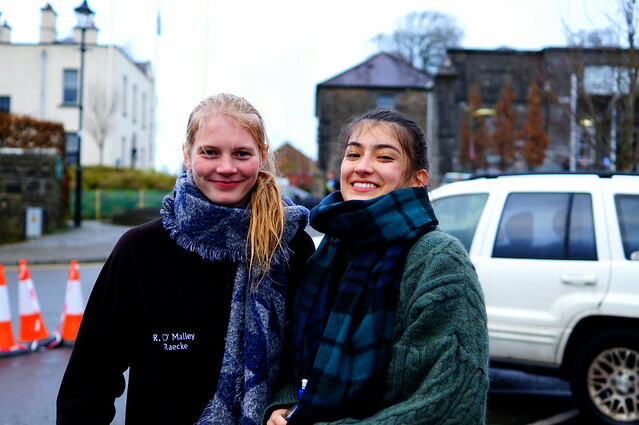 Again, there were a number of Jes crews entered: There were wins for the boys J15 8+ (who came 4th overall in this race), Womens' J18 coxless 4 (Róisín Gavin, Ciara Walsh, Rachel O'Malley, and Hazel Macnamara), and Womens's J18 pair (Caoileann Nic Dhonncha & Elise Carney-Frazier). The 2 Jes Men's J16 doubles came 2nd and 3rd in their category and the Womens' J16 8+, Womens' J14 coxed quad, and Mens J14 coxed quad all came in 2nd in their categories.